Who says you can’t party hard in Monsoon we have the best ideas for your monsoon trip to Goa want to have a Yacht Party in Goa in Monsoon yes your read it right you can enjoy the yacht party in Goa in Monsoon we have best yachts and cruises in Goa which are operational thought the year we have yachts for group of 10 people to 100 people we can arrange all kinds of yachts on yacht in Goa Birthday party on yacht in Goa ,Bachelor party on yacht in Goa ,Pre wedding shoots on yacht in Goa ,Corporate events on yacht in Goa ,Luxury yacht party In Goa . 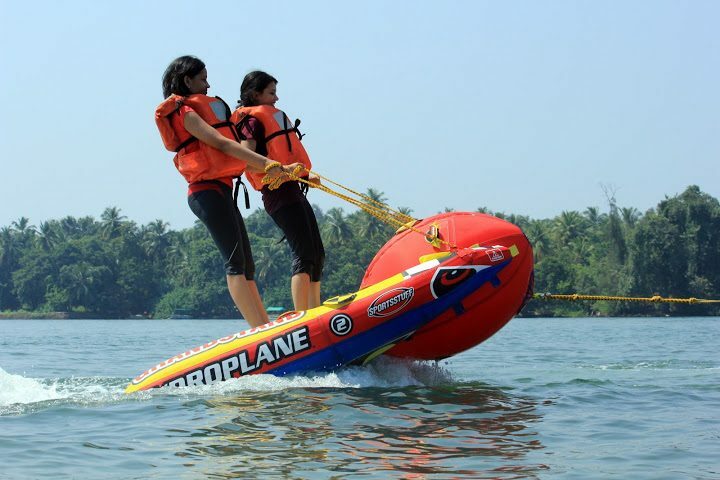 Want to do water sports in Goa in Monsoon we have the option for you we will take you to the private island for water sports in Goo. You can do Bumper ride in Goa in monsoon, kayaking in Goa, fishing in Goa, Crab catching in Goa Boat ride in Goa, Speed boat in Goa, island visit in Goa sightseeing of Goa by Catamaran. we will make your monsoon trip memorable don’t worry if want to have a waterfall trip in Goa we have the best waterfall package in monsoon in Goa now you can have all the activities in monsoon in Goa we will provide the transportation from hotel and back don’t wait for the season book your monsoon package now and enjoy the holidays.